This 3.4 fl oz. bottle was included in a gift set that I won. It came with the cologne, body creme, and body/hand wash. The Packaging is a square plastic bottle with rounded edges with a small black twist off cap that reveals a small opening for the product to pour out. The price is $40 for a full size bottle (8.45 fl oz.) The Formula is a gel body wash that lathers up easily. My thoughts on this product are great except for the price. The luxurious gel easily lathers up in your hands and fills the entire bathroom with my favorite fruity/floral scent. The scent lingers on the skin for just a few minutes after getting out of the shower. The packaging could be better, but keep in mind I had the gift size version. The plastic was flexible enough for me to squeeze the product out of the small opening. It comes with a pump if you purchase the full size version. No irritation whatsoever and made my skin feel good but not completely hydrated. Purchase? No, even though I enjoyed it, the price is too expensive for a body wash.
What’s your favorite body wash at the moment? I’m just using the Dove Deep Moisture Body Wash, I got the biggest bottle I could find at Target. I used to love the ones from Lush, but I’ve definitely pared back my spending in this area for some time now. In college, I was all about Dove! It was in mint green packaging because it was green tea and something. Cucumber maybe? I forget. Lush is fun to have as soaps, but once in a while. Yes, Honey I washed the kids smells soooo good! Agreed. The scent is my favorite out of the Jo Malone collection and probably all my fragrances! I’ve tried Satsuma and it’s the best summertime scent! Oh so yummy smelling! DH?? Ooooh. 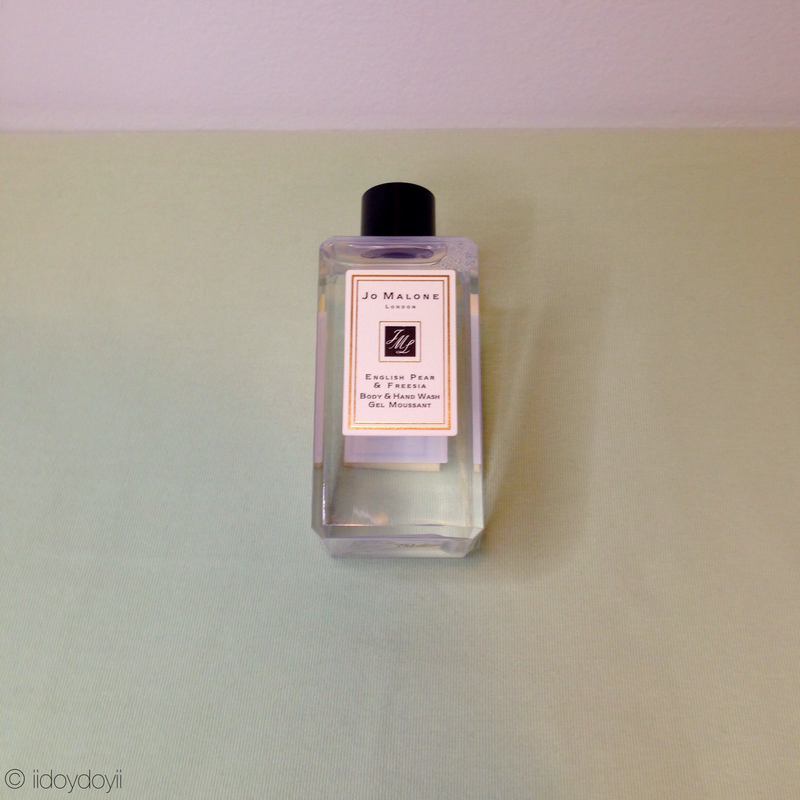 A Jo Malone body wash… How luxurious! I can see what you mean though about the price. It would have to be as a gift or as a special splurge bc using it everyday would be extravagant! LOL. Glad you got to try it!! I’m happy I got to try it 🙂 Otherwise I would have never gotten the chance. I’ll get it again if it’s in a gift set. The $40 just for a body wash is a lot! I’m a Dove body wash fan as well..I also like Philosophy body washes – have you tried those? This one sounds nice but agree about the price..a bit steep! I want to try those Philosophy ones. Which do you recommend? They have so many! This is such a personal preference because I have really disliked (actually, hated) scents that others love! I’d recommend going to Ulta for a scent-a-thon :)..I’m into the food themed ones like pink frosted animal cracker and cinnamon buns at the moment..it’s fun waking up to these.. Interesting. Ok thanks! I just avoid anywhere makeup is sold lately due to my no buy. One day I shall sniff! No problem. Thank you for stopping by! Currently I’m using Yves Rocher Désir de Nature Perfumed Shower Gel that I got for FREE! They always throw in free full sized products when I order online (no worries it was last Fall that I made the order). It’s quite nice, surprisingly but I’d never pay $20 for it. Actually I can’t recall the last time I bought shower gel, I seem to get gifted them. That’s great that you’re always gifted them. You get to try brands that maybe you wouldn’t have thought to try! I agree with what you write, the price tag is a bit high for a frequent usage. But a girl needs something special once in a while. Yes! It’s a nice treat for sure.